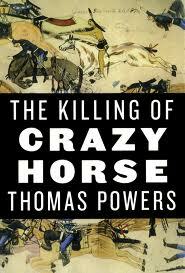 Thomas Power’s The Killing of Crazy Horse is most deserving of the praise offered by fellow authors Larry McMurtry and Evan Thomas. Power’s work of non-fiction ventures miles beyond the compelling story of Crazy Horse to encompass a rich journey into the final years of the Sioux and the demise of their culture upon the great northern plains. Power’s detail into the relationships of members of the Sioux families together with their interface with the white trappers, adventurers , soldiers, translators and scouts tells the story of what actually occurred to bring about the destruction of this once proud Indian Nation. Power’s research is so outstanding that he seems to have personally absorbed the Sioux culture, language, relationships, spirituality, pride and passions and then realistically tells the tale in a captivating style. The context is so strong it seems that Powers was present in the teepee, on the battlefield, smoking the pipe, on the Powder River, at the Sun Dance and at The Killing of Crazy Horse. Unique in its approach, Powers relates the story through the voices of the Indians, the families of Sitting Bull , Crazy Horse , Red Cloud, and the half breeds who served both the Indians and the military often in duplicitous and self dealing fashion. General Crook’s role as the major facilitator in the demise of Crazy Horse delves into the personality and motives of the man who so influenced the fate of Crazy Horse and the northern tribes. The story of the Oglala Sioux and Crazy Horse can not be told without Custer and the Little Big Horn. I have read much of this historic event but never before have I seen this epic through the eyes of Crazy Horse and the Sioux themselves, present on the Little Big Horn Battlefield that day. In his Afterword, Powers perfectly captures this reader’s reaction to his work: ” My effort here has been to tell the story in a way that helps readers to experience its weight and quality-the feel of it.” Powers words ” the feel of it ” become abundantly apparent. The Killing of Crazy Horse eclipses all expectations of ” the feel of it,” learning from the people, places, triumphs and tragedies of the Oglala Sioux. Thomas Powers is a Pulitzer Prize winning writer. He has also written Intelligence Wars : American Secret History from Hitler to al-Qaeda; Heisenberg’s War: The Secret History of the German Bomb; and The Man Who Kept the Secrets: Richard Helms and the CIA.